Looking for a new, fast paced, high energy game for your next party? This will be a new & exciting gaming experience for you, your family and your friends. 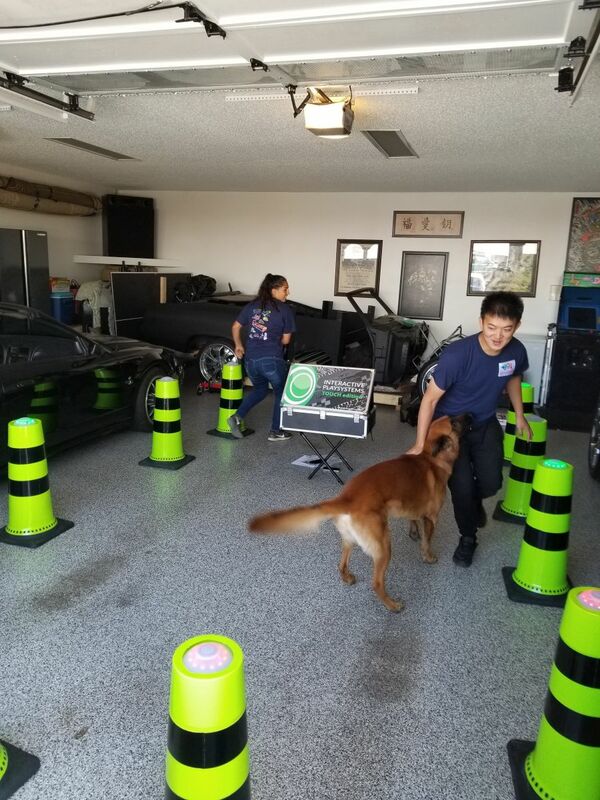 Our interactive Sports Cones will be your new favorite game rental for any type of event. Our Interactive Sports cones are extremely versatile and can be used in many different ways - you are only limitied by your imagination. Great for any competition based event, relay races, team building, sports training or your next birthday party. Opponents score points by tapping the top of the cones when they are showing the red and green lights. Tap your color and increase your score. Scores are sent wirelessly to the scoreboard. The set includes 10 Cones and the Interactive Play system! The cones are lightweight, do not require electricity and can be set-up almost anywhere.